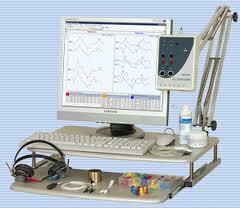 Audiology is the study of hearing and its problems. 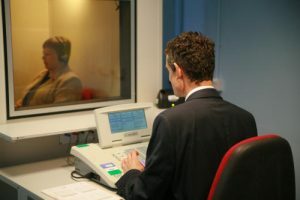 An Audiologist measures a person’s hearing. Diagnosis hearing loss and prescribes a suitable hearing aid whenever necessary. He/she may also be involved in auditory rehabilitation of hearing impaired children and adults. Hearing screening, noise measurement may also be part of an Audiologist’s job requirement. Audiologists assess the extent of hearing loss, balance and related disorders and recommend appropriate treatment. These services are provided to people who are deaf or hard of hearing and persons at risk if hearing loss due to noise exposure, genetic causes or middle ear infections. Audiologists also work with children and adults who need aural rehabilitation, such as auditory training and speech reading and educate parents and professionals on the preventions of hearing loss. They provide information and training on al aspects of hearing and balance to other professions including psychology, counseling, rehabilitation and education. Any problem in the outer or middle ear that prevents the ear from conducting sound properly is known as a conductive hearing loss,Conductive losses are usually mild or moderate in nature, causing hearing losses of up to about 60 or 70 decibels. In some cases, conductive hearing losses can be temporary. In many cases, medication or surgery can help, depending on the specific cause of the problem.Conductive hearing loss can be helped with hearing aids. A problem in the cochlea (inner ear) can cause sensor neural hearing loss. Sensor neural hearing loss results from missing or damaged sensory cells (hair cells) in the cochlea and is usually permanent. Also known as “nerve deafness”, sensor neural hearing loss can be mild, moderate, severe or profound. Surgical procedures cannot cure sensor neural hearing loss. Medication may be helpful in some cases. 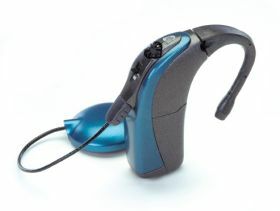 Mild to severe sensor neural hearing loss can usually be helped with hearing aids. Severe or profound hearing loss can usually be helped with cochlear implants. A problem that results in the absence of or damage to the auditory nerve can cause a neural hearing loss. Neural hearing loss is a profound hearing loss and is permanent. Hearing aids and cochlear implants cannot help, because the nerve is not able to pass on enough sound information to the brain. An auditory brainstem implant (ABI) may help in some cases. STEP 4 : Treatment Of CAPD. Most humans hear sounds in the range of 20 to 20,000 Hz. Sensitivity vary as a function of frequency, with sounds in the middle frequencies being heard well. Degree of hearing loss (How much problem). Types of hearing loss (Where is the problem). To Rule out Retrocochlear and Cochlear pathology. To rule out middle ear pathology. To rule out cochlear sensitivity loss or VIII nerve disorder. Evoked stapedius reflex test for cochlear implant. Provides information about hearing handicap. Problem maybe worse than indicated by pure tone average (PTA) for the speech frequencies. Useful to determine candidacy for hearing aid. A very poor result, out of proportion to PTA, suggests probable retrocochlear cause of hearing loss. Brainstem evoked response audiometry is a non invasive technique to determine the presence of hearing loss in children and adults. 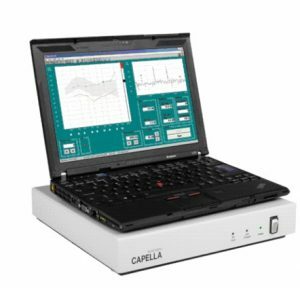 In BERA an individual does not require to respond to a sound but the test is automated and gives exact hearing thresholds.It also helps in testing the inner ear and auditory nerve function. To know aided response. (With hearing aid and cochlear implant). To rule out hearing loss in newborn. To rule out inner ear pathology. Help in new born screening program. To know site of lesion. Fully automatic & computerized test. Deffrerncial Diognosis between cochlear & retro. Objective fitting gives accurate fitting in children as per earcanal length. It care overamplification and prevents further damage due to overamplification. Mapping & Telemetry available for all three companies of Cochlear implants. Used the audiological test question & speech perception test & counselling. Switch On Program – We will do after 3 week of surgery. Audiotry Verbal theropy Basically it’s duration is 2 years. Detection of awareness of sound. – Reduce handicappness due to hearing loss. The Early Hearing Detection and Intervention Program (EHDI) is a program under the auspices of the Centers for Disease Control and Prevention’s National Center on Birth Defects and Developmental Disabilities. Based in Atlanta, Georgia, this national program identifies newborns and infants and enrolls them in special programs to ensure they develop the language and cognitive skills. Many, but not all, states and territories have EHDI programs. Newborns are given hearing screenings before hospital release. If a newborn does not pass, EHDI follows up. Follow up is important, because it is just a screening. It is NOT an official diagnosis of hearing loss. 1) Screen babies before one month old. 2) Follow up on babies before they are three months old. 3)Begin providing early intervention services before the baby is six months old. Through EHDI, families are provided information on communication choices. Through the online cd-rom guide “A Parent’s Guide to Hearing Loss,” I learned about Part C programs (not part of EHDI) and Individual Family Service Plans. Part C programs/IFSPs can help pay for hearing aids, cochlear implants, and other services/equipment for the infant or toddler. The “disorder” part of auditory processing disorder means that something is adversely affecting the processing or interpretation of the information.Children with APD often do not recognize subtle differences between sounds in words, even though the sounds themselves are loud and clear. For example, the request “Tell me how a chair and a couch are alike” may sound to a child with APD like “Tell me how a couch and a chair are alike.” It can even be understood by the child as “Tell me how a cow and a hair are alike.” These kinds of problems are more likely to occur when a person with APD is in a noisy environment or when he or she is listening to complex information.APD goes by many other names. 1. Difficulty hearing in noisy situations. 2. Difficulty following long conversations. 3. Difficulty hearing conversations on the telephone. 4. Difficulty learning a foreign language or challenging vocabulary words. 5. Difficulty remembering spoken information (i.e., auditory memory deficits). 7. Difficulty maintaining focus on an activity if other sounds are present child is easily distracted by other sounds in the environment. 8. Difficulty with organizational skills. 9. Difficulty following multi-step directions. 10. Difficulty in directing, sustaining, or dividing attention. 11. Difficulty with reading and/or spelling. 12. Difficulty processing nonverbal information (e.g., lack of music appreciation). Central Auditory Processing Disorder Treatment: 3 Different Approaches. Central auditory processing disorder treatment has different approaches that aim at the same result. Environmental Change – The goal is to improve access to auditorily presented information. The use of electronic devices that assist listening, and methods of altering the learning environment so that the child with CAPD can focus his or her attention on the message are used. Compensatory Strategies – The goal is to assist listeners in strengthening their central resources including language, problem solving, memory, attention, and other skills. It teaches children to take responsibility for their own success or failure and encourages them to be active participants in daily listening activities through a variety of techniques. Direct Treatment – This approach tries to remediate the disorder itself, but it is usually extremely difficult to treat everybody’s individual case. Different strategies include computer-assisted programs, and one-on-one training with a therapist. A hearing aid is a device used to help hard-of-hearing people hear sounds. Now, however, the most common style is a small electronic device that fits into the wearer’s ear. Cutting-edge technology allows for hearing aids so small and stylish they can be mistaken for wireless headsets. Now available with digital sound quility, Bluetooth techonology, Datalearning, Remote control, automatic learning, autometically adjust to enviournment. This was the first type of hearing aid, and thanks to developments in technology they are now rarely used. 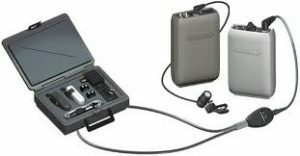 Body worn aids are capable of large amounts of amplification and were once used for profound hearing losses. Today, they have largely been replaced by BTEs. Behind the ear aids (BTE). In the ear aids (ITE). ITE hearing aids are custom made to fit each individual’s ear. They can be used in mild to severe hearing losses. In the canal (ITC), mini canal (MIC). ITC/MIC aids are smaller, filling only the bottom half of the external ear. You usually cannot see very much of this hearing aid when you are face to face with someone. MIC and CICs are usually not recommended if you have good low frequency hearing as the “plugged up effect” may make your voice resonate (the “occlusion effect”). Completely in the canal aids (CIC). CIC aids are even smaller and often not visible unless you look directly into the wearer’s ear. These aids can be used for mild to severe losses. Bone Anchored Hearing Aids (BAHA).The BAHA is a surgically implanted system that uses bone transmission as a pathway for sound to travel to the inner ear. A titanium “post” is surgically embedded into the skull with a small abutment exposed outside the skin. A sound processor sits on this abutment and transmits sound vibrations to the external abutment of the titanium implant. Bone anchored hearing aids are however some of the most expensive of any kind of aid. 2) Uses the body’s natural anatomy to provide optimal hearing . 3) Esteem-Hearing ImplantT is not affected by acoustic feedback . 4) The device allows patients to live normal active lifestyles . 5) No occlusion effect (nothing in the ear) . 6) No maintenance or batteries for up to four years .